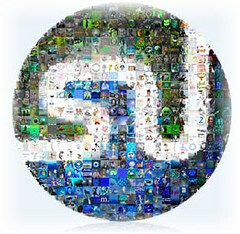 Do You Want To Be A Pro-Blogger on StumbleUpon? What can you do to become a pro-blogger? Well, you need to get a lot of traffic to your blog. And now you thinking….’I already know that, but HOW am I going to do it? I have some trade secrets to let you in on. By using these trade secrets, you too, can become a pro blogger. Today, you are going to learn some great tricks of the trade to grab the attention of StumbleUpon, and use their platform to set your blog on fire. These tips and tricks will get you anywhere from the hundreds up to the thousands of StumbleUpon visitors each day. If you do have a niche that is lacking in the mass appeal, StumbleUpon will be a great boost for you where the others won’t. Digg uses a broad forum which keeps their power from weakening in traffic. 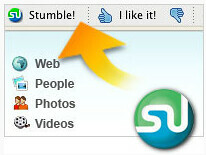 StumbleUpon works a bit differently by creating more specific categories, providing a more targeted audience. Write posts that appeal to the particular social media, if you go for the general appeal, you are going to lose your followers. For instance, Del.icio.us likes anything that their users prefer, Digg likes the appeal of the masses. You have to have content that is going to get thousands of hits, or you won’t become a pro-blogger. When you are writing for StumbleUpon, you don’t need to worry about pleasing the masses, matter of fact, you benefit more by sticking with your niche, yes, even your small ones, and this will bring you some highly targeted traffic. So, write your content for your niche, not for the general public. By doing this, you will increase your chances to your post will be submitted to receive more traffic in a more specific category. In another blog, I will go into the types of posts you should and should not be making. I will go into the types of content and the things you can do to make your blog more appealing to StumbleUpon. Who and What is fOTOGLIF? Can Your Photos Make You Money? As you know by now, I love keeping you in the know on all the new sites that help you in your viral marketing strategies. The name of the latest company that I want to share with you is fOTOGLIF. This is not your ordinary photo sharing website, this is one that actually gives back. You get to upload and share as many photos as you like, and you are thinking �so what, there are numerous sites that do this�, but what you don’t know is….you get paid to share your photos. They will split their ad revenues with you on a 50/50 basis, depending on the viewer-ship. FOTOGLIF has a built in photo and content sharing application which enables its users to benefit directly from their own content they have shared. The users of this site is who create the content and when they share, they are creating traffic to the site, therefore, becoming a recipient of the revenues generated. This site has created a fantastic platform for artists and photographers to benefit from their talents and creations, and to be able to share their work while benefiting financially from the advertising revenues. They have created a Best Of Show utility for sharing these incredible pictures. This is a new site, just opened this month. This is providing Facebook junkies to produce their own slideshows to share while bringing in some money at the same time. And for those of you who are serious about your photography and wish to promote your work, you can do so on here as you do on Flickr and other photo sites. You may find that fOTOGLIF will be a great tool in brining in some extra income while promoting your art. Because this is such a new product, you may encounter a few error messages as you install it on Facebook on the uppermost portion of the dashboard. You will also need to focus on your gift patience as you load your images. This being new, in time it will become better and better as they work out the bugs. This is definitely worth checking out. Their revenue sharing plan is a great and simple plan. You will supply the required personal data with an email address for PayPal. This will all be done in the �Settings� menu, and then you will be on the receiving end of half of what they make through the advertisements and viewers interactions. Create Your Own Social Networking Site! ARE MUSICIANS TAKING ON SOCIAL NETWORKING ON THE WEB? If you are one that loves music, and would love to network with these artists, then you just may have your opportunity. Many of the artists, such as 50 Cent, Ludacris, Kylie Minogue and many more have decided to move away from the vast space of MySpace, to a new alternative site, a site that is destined to be a star on Web 2.0. This site is Ning, a place where you can connect with some of your favorite artists. How Does Ning Work and Will It Benefit My Viral Marketing Campaign? Ning was founded by Marc and Gina Bianchini in October 2004 to provide an opportunity for you and me the ability to create our own social networks for anything and everything. Ning is the power behind the largest number of the Internet’s social networks, and social networking is all about viral marketing. You will have the opportunity to use the latest and greatest in social networking, features that are truly customizable by you to fit your needs. This is a platform that provides all the features you need to be a success in the social networking arena. The only thing you need to bring to the table is your time and determination. With this you will be able to build your own social network. This is not a prefitted site, this is one you create yourself. What is the Purpose of Ning? The founders first started Ning on a very simple premise, they wanted to provide a way for anyone to create their own social networking site. They were expecting some amazing results and they got that and so much more! They have artists, athletes, musicians , educators, journalists, students, alumni, hobbyists, and any other group of interests you can imagine. The diversity of these groups is amazing and quite profound. As you check out the Ning website, you will find a very informative FAQ section, where you can learn about their Network Creators community. Are you a business or company that wants to promote your private label? If so, check out Ning for Business. # Members can invite new members, meet new people, and make new friends on your network. # Full message center with address book importing from Gmail, Yahoo Mail, and Hotmail. # See your network members when they are online now. # Customizable profile pages just for you. # Photo slideshows, video players, music players, and network badges, that can be embedded anywhere on the Internet, seamlessly funneling new people to your network. # Set your own different privacy settings for every photo, video, group, or blog post they contribute. # RSS feeds of your network’s features, such as members, discussions, photos, videos, music/podcasts, and blog posts. # Got a logo or brand? Add it to make your network totally unique. # Choose your own theme from the options provided then customize them to make them your own. # Public or private, that is totally up to you! # Choose how your photos, video player, music players, and network badges appear on your site. # Do you want to ask your members some profile questions before they join? You get to create this, and the questions will be private as well as the answers, for your eyes only. # Do you juse Facebook? Enable “one-click” Facebook Promotion so your members can add photo slideshows, video players, and music/podcasts from your network seamlessly into Facebook. # You have the ability to moderate photos and videos before you post them. # Choose from a set of supported languages (English, Chinese, Dutch, French, Portuguese, Spanish) or translate your social network into any unsupported language by changing one file in the code. # Member profile questions created by you for your network. # Member blog posts with photos, files, and widgets. # Manage blog posts and moderate comments. # Choose the option to publish in the future. # Ability to customize the appearance of member profile pages. # Option to add widgets to profile page. Take advantage of this great social networking platform and create for yourself an even bigger and better network and keep your viral marketing campaign on fire! I came across this article as I was browsing some of my favorite blogs, and this immediately caught my attention. This is a site that is perfect for those who do not own a scanner or have convenient access to one. which is a way for you to have all your paper documents scanned and published on the Internet, all at no cost to you..yes..you read that right….Totally FREE! All you need to worry about it getting the documents sent to them, then they take care of the rest. How Can They Do This For Free? They are able to offset the expense for scanning by the advertisements that are relevant to your documents. Can You Have Any Type of Documents Scanned? Scribd can scan almost any type of written document. They use a highly advanced scanning process which is provided by their partners, giving them the ability to scan about any document in high volumes. If you do have any questions however, they are easy to contact and ready to answer any of your questions. Scribd is a huge, digital library where you can publish your own original content. The focus of Scribd is to provide a way for those who have tons of documents sitting around their home or office, and to have a place to publish these documents for all to read. First and foremost they are looking to save a lot of trees, which I am all for. They are also looking to utilize their space to service those who have some very important documents that were created long before the digital era. There may also be some documents that have been lost, out of print, or printed but now deleted. This provides a new life to documents that can be shared among many re-digitized and accessible to all. The reason I am all for this and ready to support them is they are providing a great service at no cost to you. You no longer have to take the time scanning paper after paper, or the expense of purchasing a scanner, but just stick your documents in an envelope, send them off in the mail to Scribd, and before you know it, your documents are accessible to you on the Internet, never to be lost or misplaced again, nor taking up all that valuable space in your home or office. Don’t Touch WetPaint! But DO Check It Out! 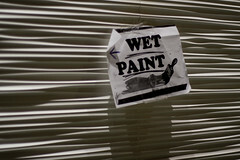 WETPAINT! Another great Social Networking Site For You To Check Out! There are more and more social networking sites coming up, better to help you with your viral networking strategies. Wetpaint has some wikis that are becoming a great, fully functional social networking site. They have recently added Feeds, which by the way is a very important feature of any social networking site. This makes these sites communicative which is vital to it’s survival. These feeds include dashboard and friend updates, giving each user their own personal view of the happenings in their particular part of the world. They offer some great friend invite options who can add to your wiki’s that you have created, making this an integral tool, focusing on the current trends going on in our social media. You have greater personalization with their custom profiles, photo gallery, and place to share media. This is a great tool to get your name and product out there even more. Social networking sites are a great way to build up contacts, friends, along with trust. Features You Need To Be Focusing On! This site has a couple of self-promotional features which you need to take advantage of. The first one is the ‘Promote My Site Wizard’, which is a way for users to find better SEO for their wikis. The next feature is the option to offer Compliments to your friends. This is a great version of ‘poking’, and hopefully will be used as encouragement and support. You can actually collect and display these compliments as awards right on your profile, letting others know that you can be trusted and that others think you are great. Here are some the features and Why Wetpaint? Wetpaint powers wikis, but unlike most wikis, which can be complicated, Wetpaint wikis are as simple as 1-2-3 , making it easy for anyone to start a free wiki that they can share with friends. A better question might be “Who isn’t using Wetpaint? Wetpaint is perfect for almost anyone! This is for so many different uses and passions. Educators, gamers, technophiles, sports fans, and everyone in between is using Wetpaint. -A wiki is a type of website that anyone can easily edit and help grow through collaboration. You can add text, photos, videos of your own or that you like, add polls, anything that you want to share with others. 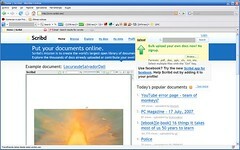 -You do not need to be a techy to build a wiki website, Wetpaint makes it totally easy to do. The other great thing about this is other people can contribute to your website, making it grow quickly. -You will be able to track every change and addition to your wiki page, allowing you to remove any content that you don’t want to keep. -If you are in a group with a common interest, or would like to form a group, this is a great way to start You can use this as your central headquarters for the group, where everyone can share and add their own ideas, photos, experiences, etc…This will allow all of you to always be on the ‘Same Page’.